William Rhind, a Scottish surgeon of the nineteenth century, had impressively broad interests. He was a botanist of some eminence, publishing a 700-page textbook on the subject which remained in print for over forty years. He was also an expert in geology – although his firm view that the Earth was only around 4000 years old, consistent with the Bible, put him at odds with most of his contemporaries. Robert Dixon, farm-servant, Markle, Haddingtonshire, was in the summer of 1826 engaged in driving lime to the fields, and was in the habit of frequently drinking from the ditches on the roadside. Perhaps not quite as dangerous as doing this in a large city – where the ditches would have been polluted with human excrement and awash with disease – but still not to be recommended. Stagnant water is hardly famous for its health-giving properties. In the end of the same year his disorder commenced with an increased desire for food, a vomiting of fetid slimy matter from his stomach, which made him cough, and with which he was attacked two or three times a day. Nearly half a pint would come up at a time, accompanied with sour belchings and eructations, and a most obstinate state of bowels, five or six days sometimes intervening without a stool. It doesn’t sound much fun, either for him or for anybody else unlucky enough to share his living quarters. He felt a swelling and fullness of the right inferior portion of the stomach, which was very painful when pressed. He slept very well, except on his right side, for when he attempted to lie on it, an almost continued working up of the slimy matter took place, which made him sit up and brought on [a] cough. Although he tried a variety of treatments, and visited several apothecaries, none of the remedies the unfortunate man was prescribed had any effect. He put up with his symptoms for almost two years, until in 1826 he decided to seek medical attention once more. On the 17th of June Mr Anderson was consulted, and ordered him a strong solution of carbonate of soda, and pills of calomel, hyoscyamus, and extract of gentian. Throwing the pharmacological kitchen sink at the problem. Each of these drugs was a common remedy for intestinal or stomach complaints – some of them quite unpleasant. I wouldn’t fancy taking any of them, let alone all four simultaneously. Sodium carbonate (sometimes known as washing soda) is an irritant, although formerly used to treat indigestion. Calomel, a mercurial drug, is a violent laxative. Both hyoscyamus and gentian are plant remedies; the fact that they were often used to treat cases of intestinal worms suggests that Mr Anderson suspected a parasitic infection. 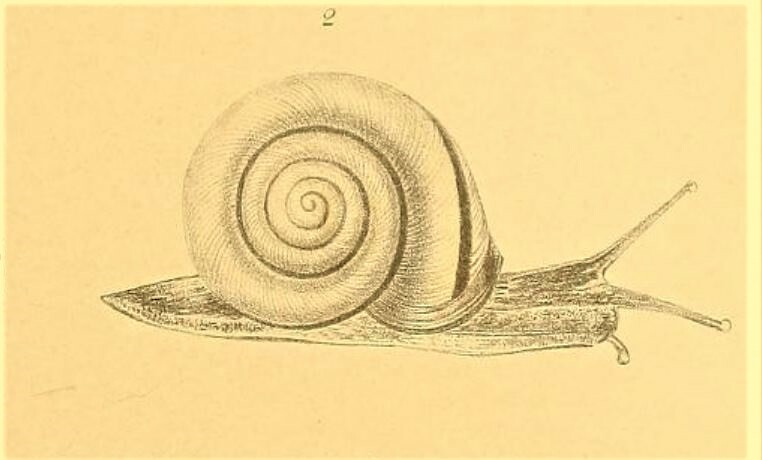 On the second day after the exhibition of these medicines, in one of his severe fits of vomiting, he ejected from the stomach an animal of about four inches in length, which proved to be the common species of gray snail. Right. We are, apparently, expected to believe that this soft-bodied, air-breathing creature had remained inside the man’s stomach for two years. It was quite lively and vigorous when voided, and lived in Mr Anderson’s possession for five days afterwards. After this the patient’s distressing symptoms disappeared, and he is now about to resume his usual occupation. But not, we hope, drinking from ditches.